COBB Tuning Silicone Hose Kit - Dezod Motorsports Inc - Home of the automotive performance enthusiast since 2002. 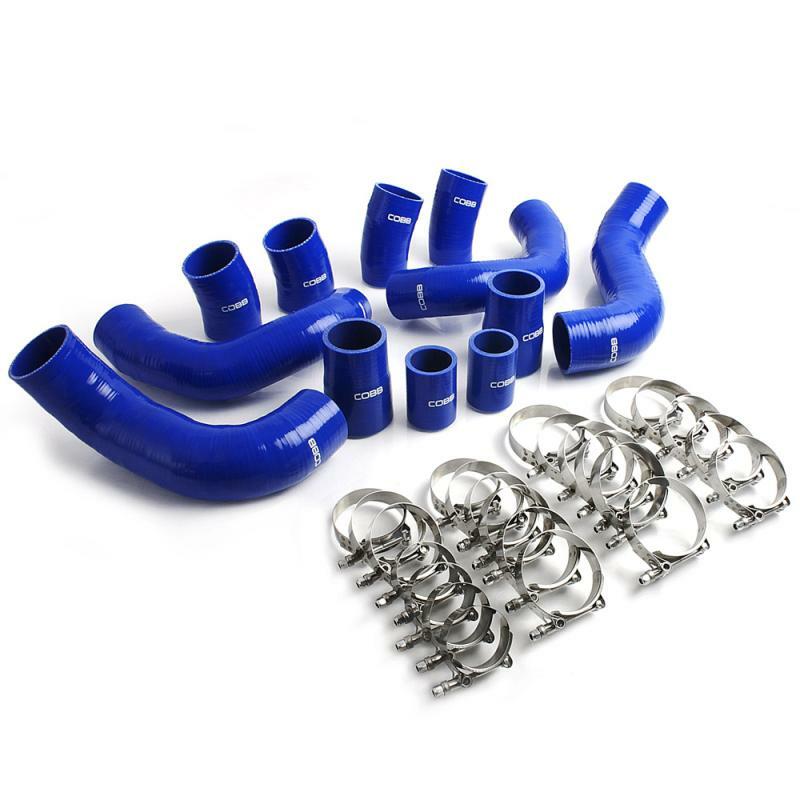 COBB Tuning Silicone Hose Kit replace the stock rubber and plastic connections to the intake, turbos and intercooler with high-quality silicone hoses which reduce ballooning under boost and are more resistant to high heat and high pressure. Boost hoses are 4-ply steel reinforced for additional strength and resistance to deformation under pressure and vacuum. The short run intake hoses and straight couplers are 5-ply silicone for additional flexibility and ease of installation. All hoses have smooth inner wall surfaces for improved airflow.